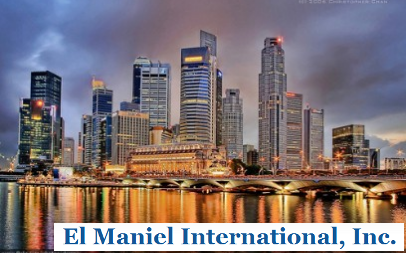 After the first cooling down of El Maniel International Inc (OTC:EMLL, EMLL message board) stock at the beginning of the month, the time for the speculative gains came. EMLL shares made the first brilliant performance on a press release, which referred indirectly to some future dilution. This Friday, EMLL stock surged 144.44% on a volume of more than 104 million shares traded. On the day before that, EMLL informed investors about its capital restructuring plans. The company stated, that will increase the number of its authorized shares up to 5,000,000,000. It is common, that development stage companies having no assets to operate are increasing the number of their authorized shares in order to raise funds from the sale of securities. This is also the case with EMLL. However, as opposed to some other companies still in development, EMLL releases each month news about having done a number of acquisitions, on no cash on hand and no assets. In addition, EMLL acquisitions go through a wide range of industries, including energy, banking, mining and retail services. Despite the huge plans for the future, there is no information about any completed acquisitions in the company's SEC filings. These facts were a good signal for investors, liking the high risks. 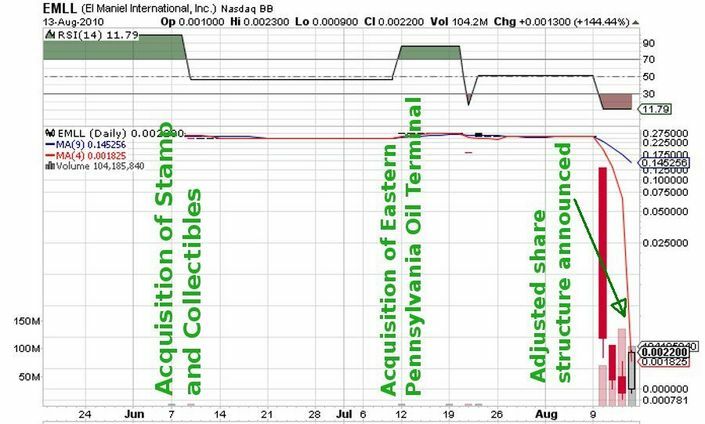 The valued at $0.26 per share at the beginning of August EMLL stock appears now re-evaluated, based on the absolute absence of any business strategy, the total lack of financial resources and the sole willingness to acquire companies. Not traded at the above mentioned price, last Monday EMLL stock found some buyers, but at a 98.92% lower price. Thus, as the new price level was appreciated by investors, the trading volume increased. On Friday, investors were even reached by the first series of stock alerts for the gainer EMLL. The stock was welcomed to the board of "poised to bring huge gains companies", which caused optimistic mood among investors. It was only the implications of the latest press release, that maybe made investors evaluate the short and long term risks of EMLL as high.